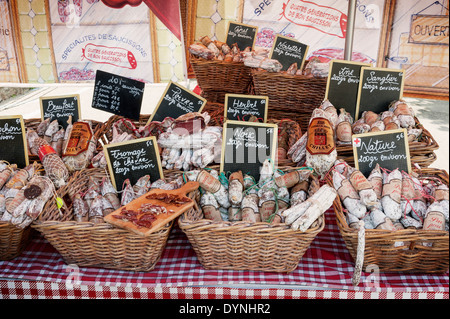 A selection of traditional French sausage on a stall at the Saturday market in Chamonix, Haute Savoie, France. 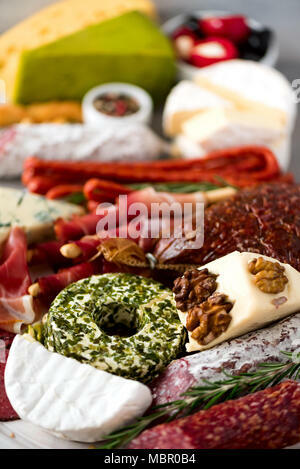 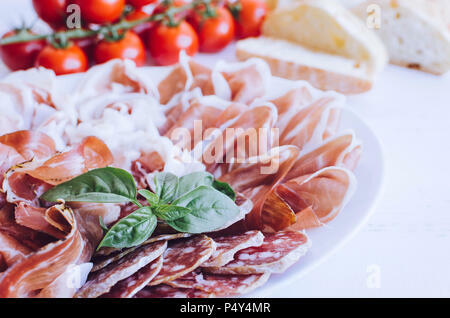 Cold smoked meat plate with pork, prosciutto, salami, bresaola and basil on white wooden background. 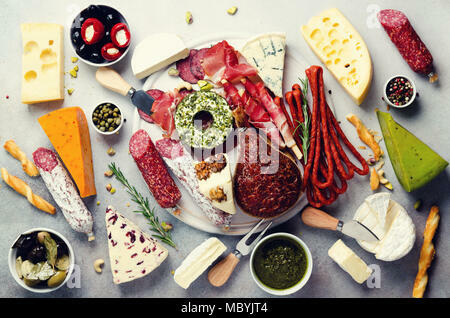 Wine appetizer set. 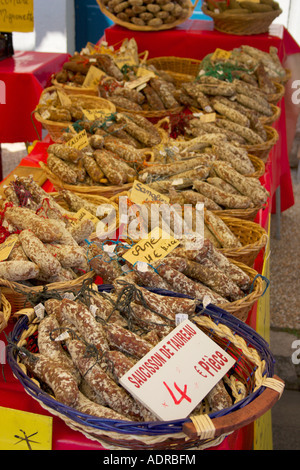 Italian food. 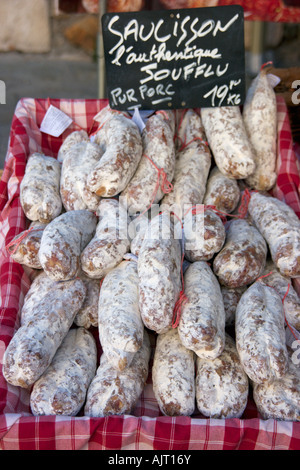 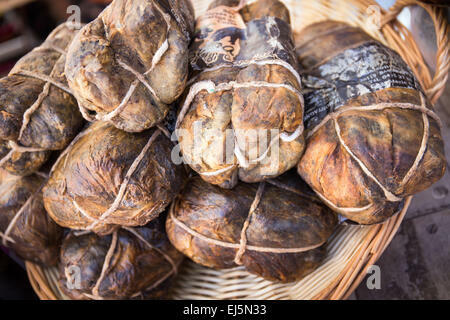 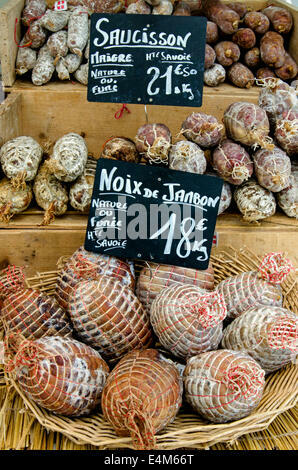 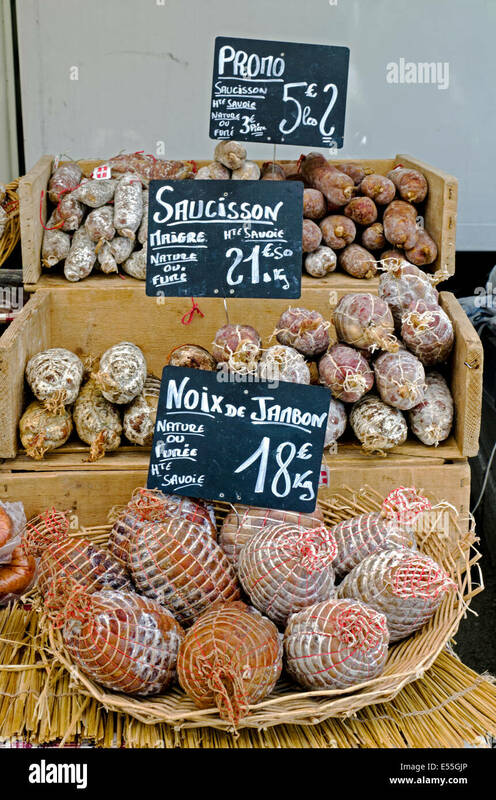 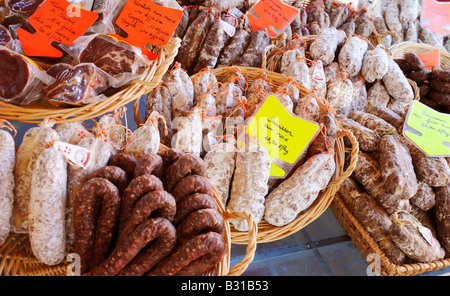 A selection of traditional French sausage on a market stall at the Saturday market in Chamonix, Haute Savoie, France. 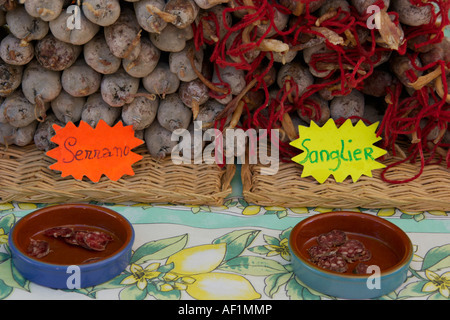 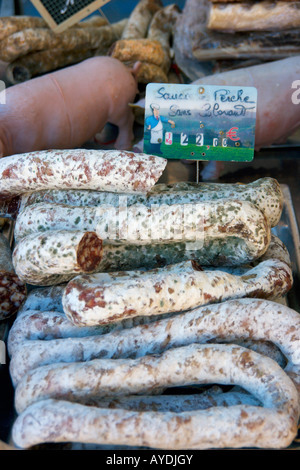 Saucisson for sale on a typical French market. 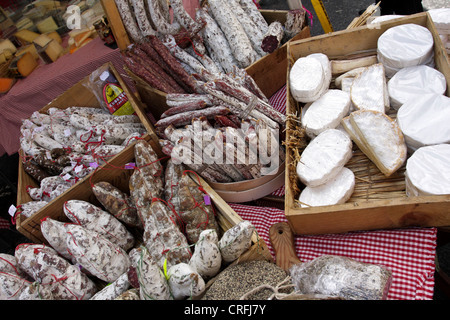 French and Spanish sausages and cheeses on display and for sale at The Marylebone Food Fayre in London 2012.